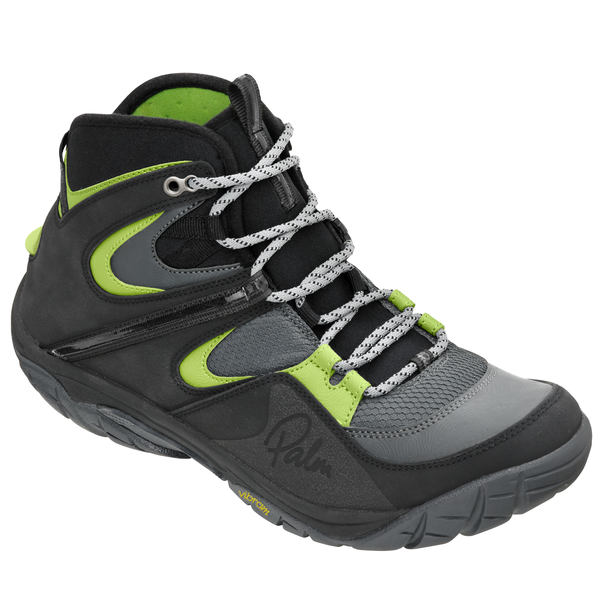 A boot which will eat up hike-ins‚ precarious scouts and tough portages. Confidence inspiring ankle support with protective scratch rubber reinforcement and a secure lace-up fit (good with or without drysuit socks)‚ the Gradient still maintains a low profile to fit comfortably in your kayak. Built upon our Vibram sole made from HydroGrip rubber. The ultimate in wet traction.